Nathan Pugh – Nate has served on staff at San Marcos since August of 2015. 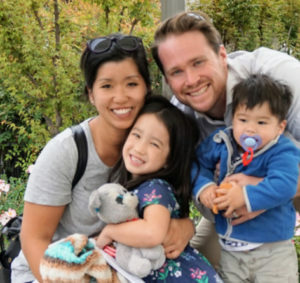 He came down to Santiago from Philadelphia (USA) with his wife Christal and daughter Clementine (3 years old) when they began feeling God’s calling to minister to the English-speaking youth in Santiago. Son Malachi joined them in July 2016. Previous experience includes working for the YMCA serving youth for 6 years as well as serving at Renewal Presbyterian Church in Philadelphia as the Children’s Ministry Director for 2 years. Nate loves youth and seeing them grow and change to become more like Christ. He holds a B.A. Sociology from Wheaton College (IL) ’08 and a M.A.R. Theology from Westminster Theological Seminary ’14. When not hanging out with youth Nate and Christal love to explore Santiago and far away lands. Nate loves rock climbing, camping and anything else that requires him to sleep under the stars. Christal loves a good book and sitting under the stars too – but she prefers stargazing from their patio.